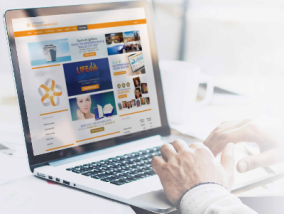 Earn 10 Different Ways With Lifepharm Global! • Pay the Retail price for all LifePharm Products. • Pay the Wholesale price for all LifePharm Products. • Participate in special product offers and promotions. • Maintain monthly activity requirements. • Earn commissions and bonuses. • Participate in promotions and incentives. *Business Success Starter Kit will be included with the purchase of an Activation Pack or higher at time of sign-up. is $9 per bottle. 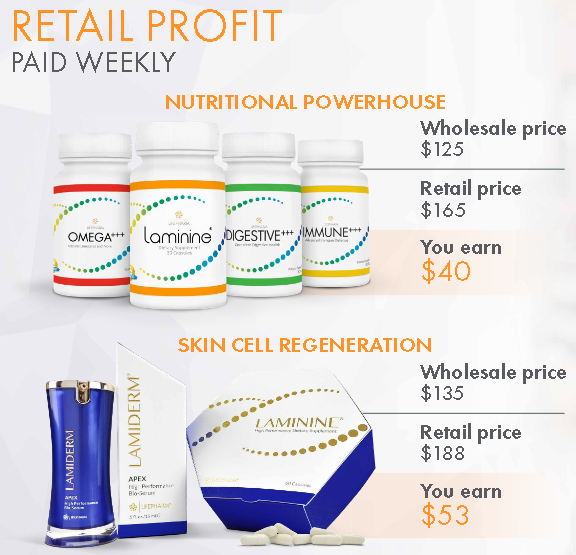 Retail profit on Lamiderm Apex is $23 per bottle. 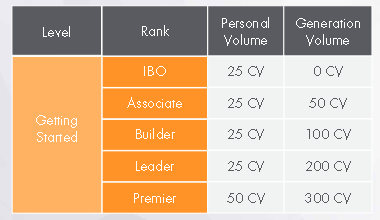 Receive 15% of the CV of the initial order* from all IBOs and Preferred Customers that you personally enroll into LifePharm. 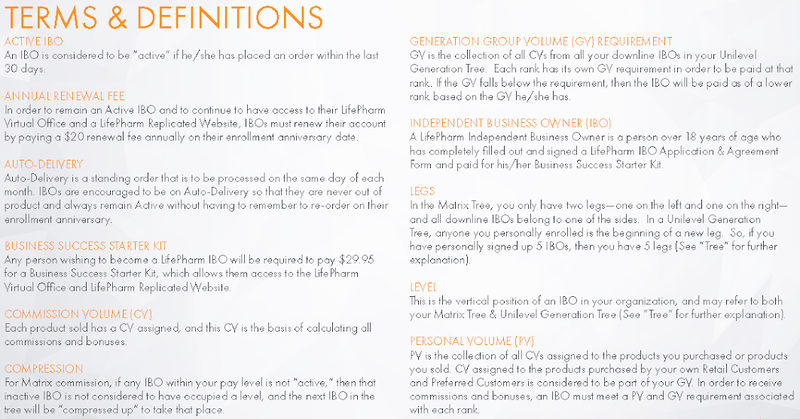 Receive 10% of the CV on all orders after the initial enrollment order made by IBOs and Preferred Customers you have personally enrolled. Every order, every time. Must be active to earn Break Even Bonus. 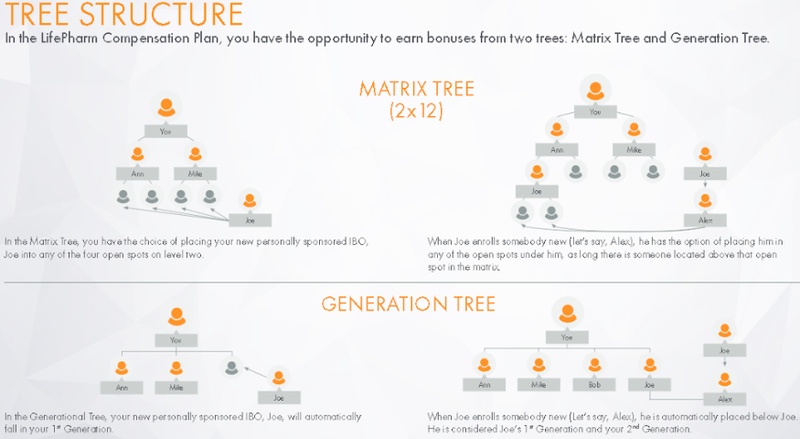 The Matrix Bonus uses the Matrix Tree to pay commissions down 12 levels. 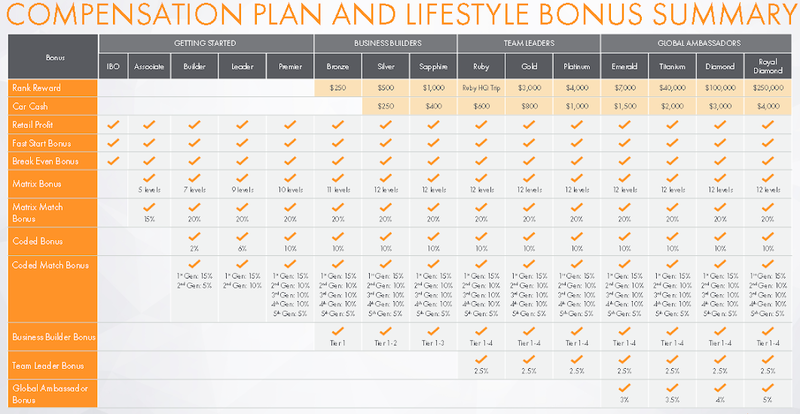 Enroll two IBOs or Preferred Customers and get paid down 5 levels. Reach Silver to get paid down all 12 levels. Must maintain requirements for each rank. 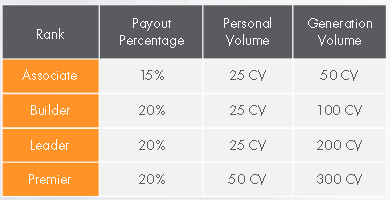 Receive an additional bonus on your first two personally enrolled IBOs’ matrix earnings. This is paid as a percentage from their weekly matrix income. *Any IBO coded to you who opens his/her coded bonus earnings, by personally sponsoring a third enrollee under him/her, is your 1st Generation coded match. 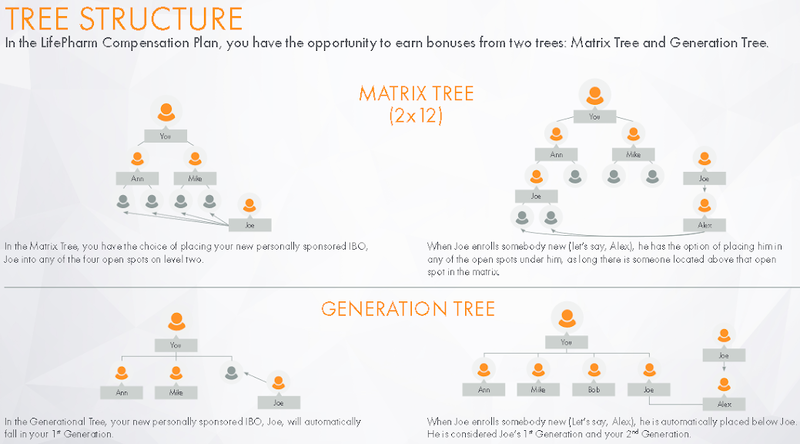 You can earn a Coded Match Bonus through up to 5 coded generations with unlimited width and depth in your Generational Tree. Must maintain requirements for each rank. 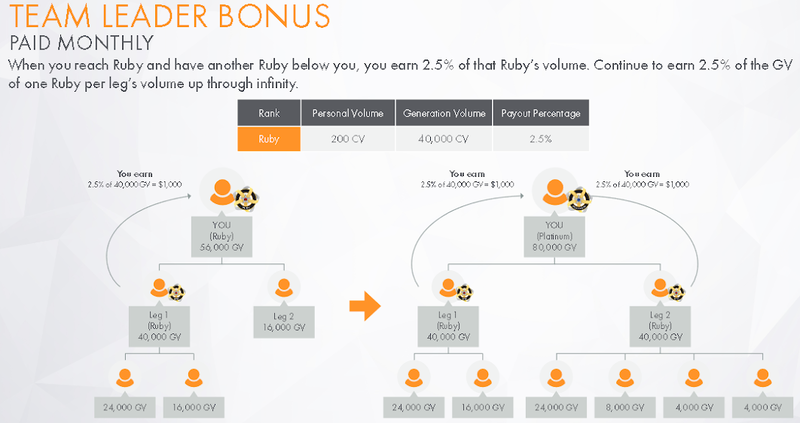 Once a second Ruby appears in the same generational leg, you no longer get paid the Team Leader Bonus on that leg. Must maintain requirements for Ruby or above rank. Every year, LifePharm recognizes the achievements of its Independent Business Owners by offering additional Lifestyle incentives. This year, these incentives include cash Rank Rewards of up to $250,000, monthly Car Cash that starts at Silver rank and a trip to the LifePharm headquarters in Orange County, California. When you reach Bronze rank, you qualify for a one-time Rank Reward of $250. Continue to advance rank and collect a higher reward at every level, up to $250,000. The Rank Reward is a one-time payment from Bronze to Emerald rank. *IBO must maintain Sapphire (or above) rank for three out of six months following initial Rank Advancement (including rank achievement month) to qualify for Sapphire Headquarters Trip. **Titanium, Diamond and Royal Diamond rank rewards will be paid in five, equal monthly installments. CAR CASH *Maintain rank qualifications for two consecutive months. Must have at least 25 PV in the previous 30 days to be considered active each week. • Bronze and Silver qualifications must be maintained weekly for Matrix Bonus. • Must maintain Rank Qualifications each month to be paid at that rank. marketing and distribution of premium nutraceutical and cosmeceutical products since 2001. LifePharm, Inc.’s products are currently available in over 1300 retail outlets throughout Southeast Asia.